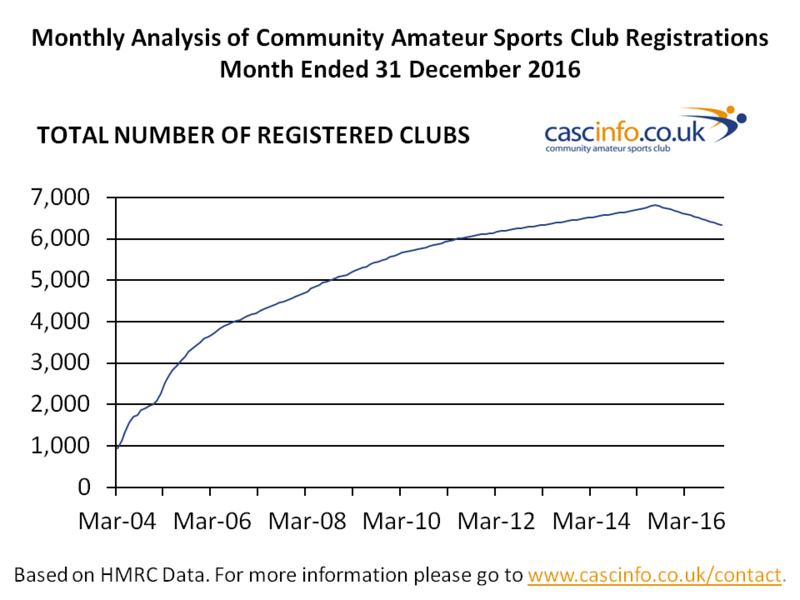 Welcome to the latest Analysis of Community Amateur Sports Club Registrations as at 31st December 2016, showing the take up of the scheme amongst sports clubs. There has been a net decrease of 489 registrations for the period from July 2015 to December 2016. This was due to HMRC de-registering many more CASCs than the above figure as result of their review process after the CASC rules changed on 1st April 2015; but this has been counterbalanced by many clubs newly registering as CASCs in the same period. There are now 6,335 clubs registered which have claimed an estimated minimum total cash benefit of £238.3 million up until 31st December 2016 since the scheme began. This figure is made up of Gift Aid (9%) and mandatory rate relief (91%). 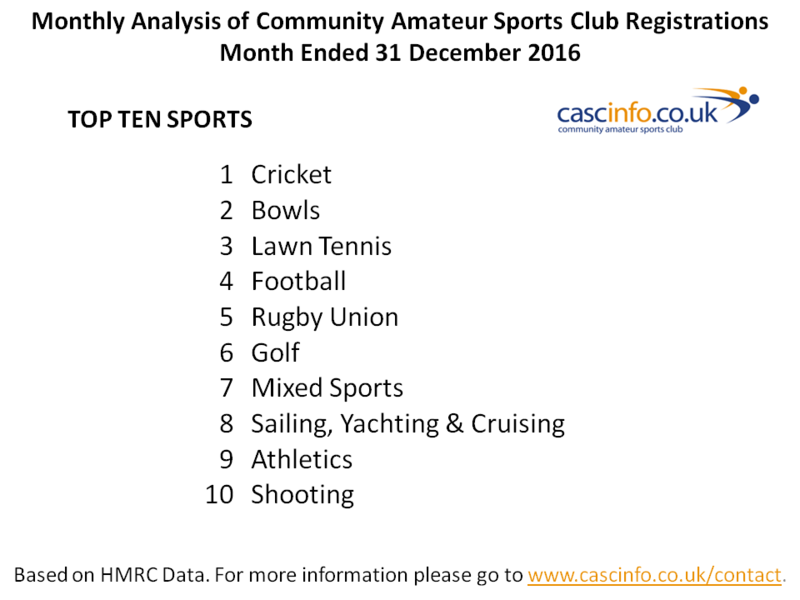 The Top Ten Sports table shows the top ten sports with the most CASC registrations, position number 1 being the sport with most registrations. This analysis has been prepared on the basis of information published by Government and is assumed to be complete, correct and reliable. (Source: www.cascinfo.co.uk - Monthly analysis of CASC registrations). If you have any queries, are concerned that your club may have been de-registered or if you are an NGB and would like to track your CASCs please get in touch.